Warning! Spoilers for the Attack on Titan manga lie below! There are plenty of fan theories circulating within the Attack on Titan fandom, and one just got approved by the franchise itself. If you have ever wondered about the discrepancies surrounding Armin’s parents and their deaths, then you can find out the truth now. 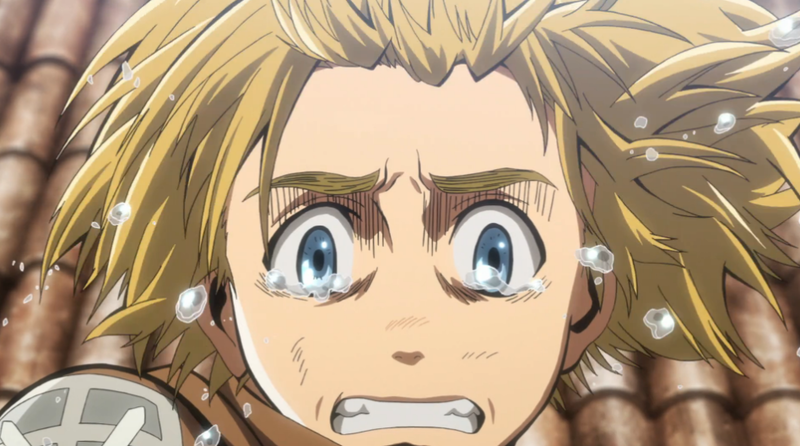 Like most anime leads, Armin is an orphan, but the circumstances around his parents’ deaths have always been questionable. The manga stressed Armin’s parents were killed after being sent to reclaim Wall Maria, but a new information guide for Attack on Titan has retconned the events. According to the new publication, Armin’s parents were actually killed by the military police after the pair tried to leave Marley’s walls via an air balloon. The booklet says Djel Sannes was the man who killed the couple during their escape attempt. If you have been keeping up with Attack on Titan, you will know Sannes has been implicated in other deaths. The officer has been tied to the murders of Erwin’s father as well as Pastor Nick. The blood on Sannes’ hands is questionable, but its direction is even scarier to think about; After all, all signs point to Marley ordering hits on certain citizens to trap them within the city. The fan theory about Armin’s parents’ deaths and the reclamation of Wall Maria all began thanks to the anime. The fifth episode of Attack on Titan saw Armin recall his parents’ dreams to leave the walls; Fans speculated the two may have been involved with the Survey Corps in some way, so their decision to escape the walls would be considered treason. At the least, the change to Armin’s parents does explain why the boy is interested in leaving Marley after he joins the Survey Corps. If he thinks his parents are alive somewhere, then he would be interested in going beyond the walls. It’s just a shame the soldier was led to believe his folks might have made it.